Method 1 Preheat the oven to 180c/gas mark 4. 2 Line an 18cm/7inch loaf tin with oiled greaseproof paper. 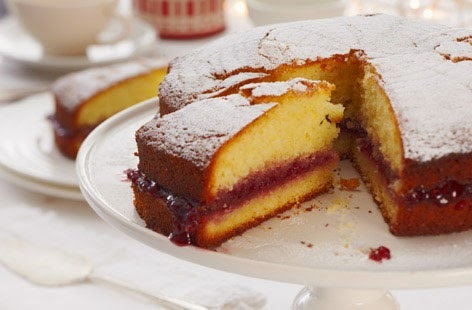 Beat the butter, 170g caster sugar and vanilla for 2-3 minutes or until light and fluffy. 3 Add the eggs and lemon zest and continue to beat for 2-3 minutes. Next, add the juice of half a lemon, milk and beat to combine. 4 Add the flour and gently mix to combine thoroughly. Spoon the mixture into the tin and tap the cake tin gently a few times on the counter top to flatten out the top. 5 Bake for 45-50 minutes or until a skewer comes out clean. 6 Meanwhile gently heat the remaining lemon juice and 80g caster sugar in a small pan to dissolve and allow to reduce to a syrupy consistency over a medium heat for 2-3 minutes. 7 Remove the cake from the oven and prick all over with a fork. 8 Carefully spoon the hot lemon syrup over the cake and finally sprinkle over the syrup to settle.